Cosiness - Charm - Comfort! 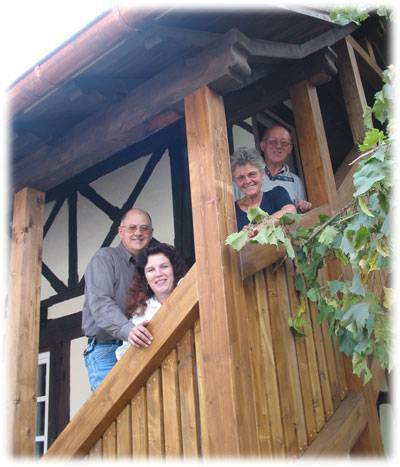 The Old Doctor`s House is a lovingly restored Franconian property originally built in 1792. Feel at home in our three spacious, quiet guestrooms which are furnished with antiques and lots of love for detail. In short, they take you into their family for a while. ... The Old Doctor’s House left our family with wonderful memories for a lifetime. Let me explain what we were seeking and what we received. 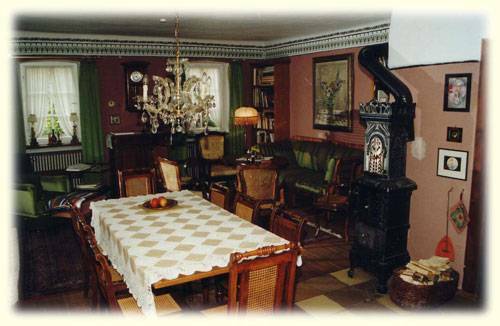 The Old Doctor`s House is a lovingly restored Franconian property originally built in 1792 which has served as a residence and doctor`s office for four generations of medical doctors. 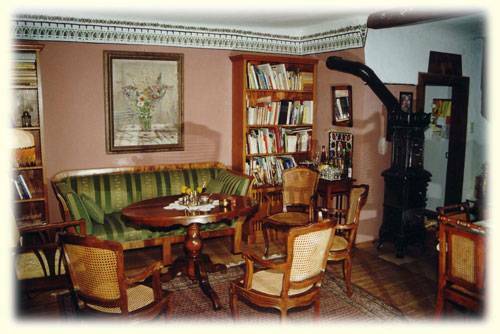 Experience the cosiness of a historic Franconian house with lots of charm and comfort. Feel at home in our spacious, quiet guestrooms which are furnished with antiques and lots of love. Markt Einersheim is centrally located between Franconian Wine Country and the Steigerwald Natural Park. The family run house is an ideal starting point for discovering Franconia, one of the oldest cultural areas of Germany. Franconia is part of Southern Germany and belongs to famous Bavaria. Munich, Bavaria`s capital, is just a two-hour drive away. Your hosts are Dodo and Wolfram and Ruth and Randall. We welcome English speakers as Randall is a native from Arkansas and Ruth and her parents also speak English. 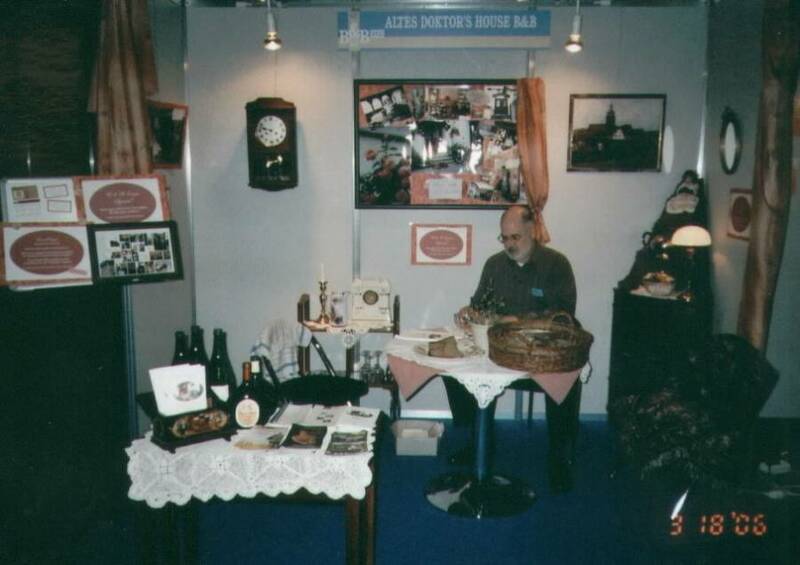 A bakery, a butcher shop, a drugstore, a pharmacy, two doctors, a dentist, a typically Franconian restaurant, two hairdresser shops, three banks, and some other businesses. No. 1 Gallery (spacious two-level room): The main room of the Gallery has a king-size double bed, shower and toilet, rental TV with satellite connection incl. English language CNN available for 3. 50 per day, cosy sitting area, a view of front yard and garden. The loft has two separate beds and a cosy sitting area. No. 2 Garden View: Spacious room with king-size double bed, shower/tub and toilet, rental TV with satellite connection incl. English language CNN available for 3. 50 per day, analogue computer connection, cosy sitting area, writing desk and view of the garden. No. 3 Main House: Nice double room in the main house. The 210 year old timbers give this bedroom its old style comfort. Private bathroom and (shared) toilet are outside of the room but just down the hallway. Enjoy the view of the front yard and main street from a cosy sitting area. Markt Einersheim is centrally located between Franconian Wine Country and the Steigerwald Natural Park. Franconia is one of the oldest cultural areas in Germany. It is part of Southern Germany and belongs to famous Bavaria. Munich, Bavaria`s capital, is just a two-hour drive away. Markt Einersheim is a little wine town with a population of about 1250. The town was first mentioned in the year 1023. It is a very quiet little town. In the surrounding area you find hills covered with vineyards and many other historic wine towns. Typical Franconian Restaurant just 100 meters down the street. Famous for their fish and game dishes, local wines. Summer rates between April 1 and November 15. Lower winter rates apply. Additional charge for one-night stays. Children up to 2 years stay for free. Children up to 12 years pay only 15.00 Euro per night. Cancellations are free of charge up until 10 days before arrival. If cancellation occurs within 10 days of arrival we have to charge you the full room rate excluding the cost for breakfast, if we cannot re-rent your room. Long-term bookings require a 50 % advance deposit about six weeks prior to arrival. Short-term bookings require an advance payment in full. We welcome dollar money orders or traveller´s cheques. Sorry, no credit cards! Conveniently located directly at highway B 8 (Wuerzburg to Nuremberg), only a few kilometers from the major interstates A 3 (Frankfurt to Nuremberg) and A 7 (Kassel to Ulm), close to the Romantic Route, hourly train connection to Wuerzburg and Nuremberg (3 kilometers). Car is best but the nearest train station is also only 3 kilometers away. Here you have hourly train connections to Wuerzburg and Nuremberg. Bus connections to nearby towns. Bicycles for rent!